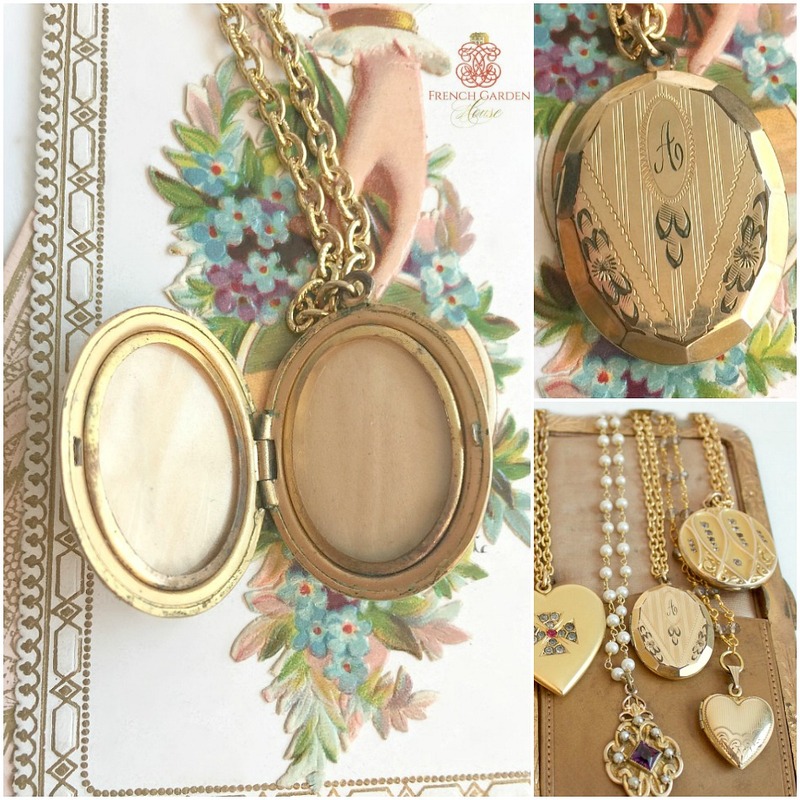 Lockets like this were meant to carry something precious near your heart. Photographs, but also a lock of hair, a love letter, sentimental keepsakes of one you love. 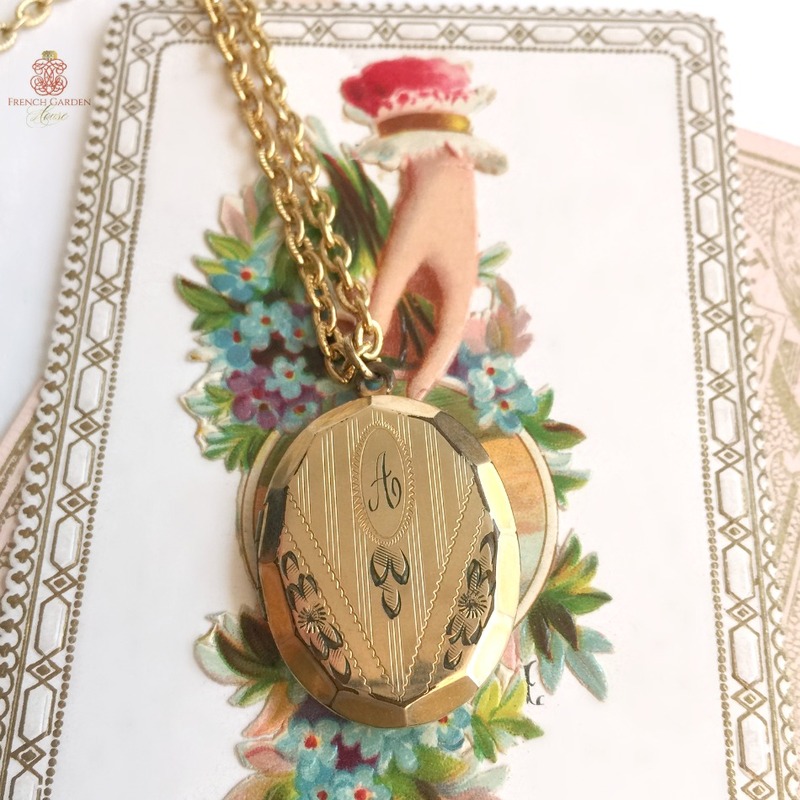 The hinge and the catch work well on the locket and it is in good condition, although there is some wear on the front as shown. Inside, the 2 openings retain their original celluloid covers. 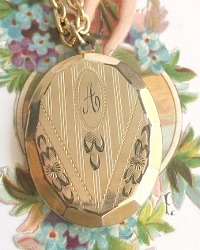 A sweet addition to your jewelry collection, or to present as a gift to someone you love. Measures: 1~1/4 x 1"; Chain:24".